The unconscious, subconscious or reactive mind underlies and enslaves man. It’s the source of your nightmares, unreasonable fears, upsets and any insecurity. LEARN TO CONTROL YOUR REACTIVE MIND. 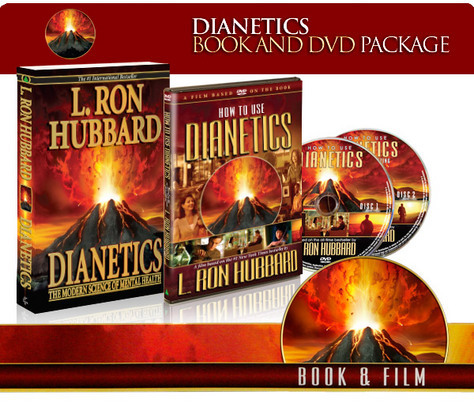 Buy and read Dianetics: The Modern Science of Mental Health by L. Ron Hubbard. It contains discoveries heralded as greater than the wheel or fire. © 2016 CSBUFF. All Rights Reserved. SCIENTOLOGY and L. RON HUBBARD are trademarks and service marks owned by Religious Technology Center and are used with its permission. Services relating to Scientology religious philosophy are delivered throughout the world exclusively by licensees of the Church of Scientology International with the permission of Religious Technology Center, holder of the SCIENTOLOGY and DIANETICS trademarks.